Counties are required by law to maintain a Probation Department according to specified rules and regulations. The records are monitored by the state for compliance and receive state aid reimbursement, based on compliance. There can be fifty or more courts per county, with various divisions and programs in each. While community protection and reparation are imperatives of the Probation Department, the offender is permitted to remain in the community only on condition of good behavior under the supervision of a Probation Officer. This requires a huge amount of record-keeping and reporting. In addition, all interactions between the probation department, the courts, social services, community service programs, alcohol/drug intervention programs and others must be recorded and filed. For one rural county (pop <100,000), this resulted in 600,000 (mixed single sided and double-side) pages of boxed records. Both storage and access were problematic for corrections officers and staff, creating unnecessary backlogs. The documents needed to be scanned in a secure facility, due to the nature of the information they contained. Chain of custody for all records had to be maintained. Accuracy was essential. Indexing was required, with the probation number being taken from the manila folder that held each record. Paper Alternative Solutions, Inc., provided digital imaging of the County’s probation records. PAS also created a custom export of the digital files to facilitate input into the county-wide Information Management System. Because the county-wide IMS enables access to the digital probation records by the courts, social services and other stake holders in the Probation System, it was essential that the digital specifications of the existing system were met. Paper Alternative was able to meet the digital specs as well as all the bid requirements, and, additionally, they supplied the custom export – all at an affordable bid-winning price. This full commitment to providing their customers with cost-effective solutions along with the highest level of support is what makes PAS one of the area’s premier digital imaging companies. 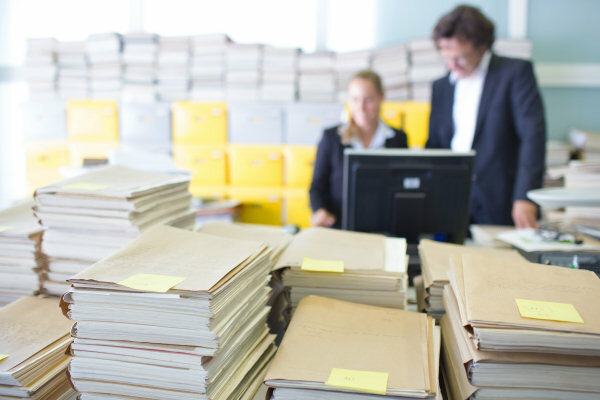 By eliminating paper forms, and working directly within the county-wide Information Management System, the Probation Department eliminated duplication of effort, reduced time in transmitting documents, increased accuracy and security. The need for overtime has lessened, as has the need for additional clerical staff. Additional savings has accrued through reduced storage and file maintenance costs. One hypothetical calculation showed that a law enforcement agency with about 100 officers can save tens of thousands of dollars over a few years by transitioning a single form from paper to digital.